BUCKINGHAM BEACON: Book Review | slate river ramblings . . . . 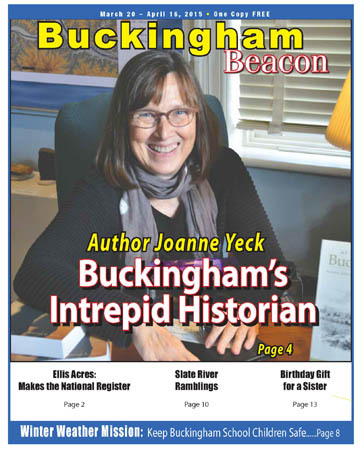 Many thanks to Publisher Carlos Santos and to Correspondent Sue Miles for the extensive book review of “At a Place Called Buckingham” ~ Volume Two in the March issue of the BUCKINGHAM BEACON. If you are in or around Buckingham County, be sure to pick up a copy. If you don’t live in the vicinity, you can download a PDF at FLUVANNA REVIEW. Great article and picture…just ordered the new book!…want to hear all about your trip…congratulations on your THIRD book!